Since march 2018 I noticed the bright shining planet Venus in the western evening sky. 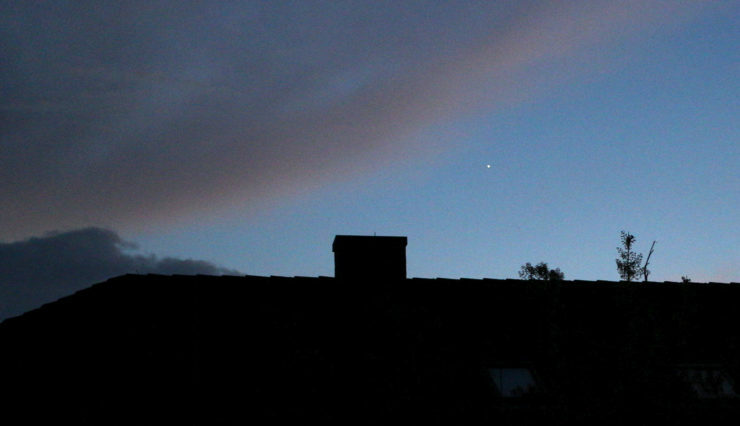 A photo from Christian encouraged me to observe Venus shortly after sun set. I also realised that seeing conditions were fine this evening. So I took images of Jupiter through my 4″ Takahashi refractor and my Celestron 11 SCT.